Malekhu is famous for freshly caught fishes and the myriad ways they are prepared and served. 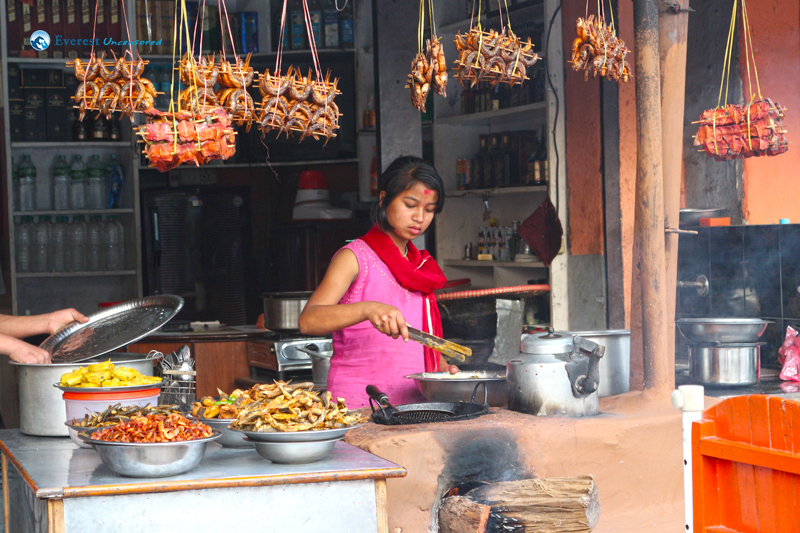 Be it deep-fried, smoked or curried with Nepali spices, they are served with zero pretenses. The variety in which they are available represents the creativity that is ingrained in the place. 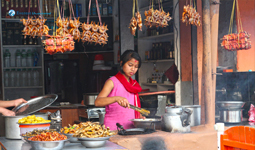 The girl in the picture keeps on cooking as she knows one can never have enough of what Malekhu has to offer. Maybe it’s the fish, maybe it’s the hospitality; one just keeps on coming back for more. If you have never tried “Malekhu ko Maachaa”, you are missing out on a special treat of Nepal.